In my latest installment of Commonwealth Curiosities, I'm layin' down the lowdown on "sleeping prophet" Edgar Cayce, whose birthday is celebrated every February at the Pennyroyal Area Museum in Hopkinsville, KY. Check out the new issue of Kentucky Monthly magazine at your local bookseller, or even better yet - subscribe! Another classic old Louisville business goes bye-bye. St. Matthews' beloved old-guy drugstore, Stephens Drugs on Shelbyville Road (previously Holdaway Drugs) has shut its doors forever and put up a sign sending all its former clientele to Wish's Drugs in Whipps Mill. It's always puzzled me whether the establishment is meant to be called "Stephens" or "Stephen's" - the building itself lacks the apostrophe on their main sign and in many of their printed advertisements, yet they also have a smaller sign (visible in the top photo) that includes the apostrophe. Online listings almost universally disinclude the apostrophe. Spotted these signs going up this morning all over the Anchorage/Owl Creek area. Although this doggie may well still be lingering in that territory, even a small dog can walk several miles in a short time - so I urge folks in Middletown, Lyndon, Hurstbourne and Jeffersontown to keep their eyes peeled for this pup. The number listed on the poster is 931-5546. Get on it, my fellow pet detectives. I'm sure all of you folks out there in readerland are as into physical fitness as I am, right? Right? So you probably already know that the deadline is quickly approaching to take part in the 2011 NPC Kentucky Bodybuilding, Physique, Figure & Bikini Championships, right? The deadline to enter is February 21, and the event takes place on February 26 at the Northern Kentucky Convention Center, brought to you by National Physique Committee of Kentucky. According to their website, there will be exhibitions of men's bodybuilding, women's bodybuilding, teen bodybuilding, bikini demonstration, and something called "open figure". So, there's your public service health message for today, friends and neighbors. I'm off now to do some exercising myself - push-ups (the ice cream kind), donut-lifting, extreme respiratory endurance tests (cigar-smoking, some call it) and beer therapy. "Bright Triangular lights seen over Harrodsburg, KY.
We were pulling onto our road and looked up and saw a bright triangular shaped light move very fast across the sky. At first, we thought it was in the rear view mirror, but then, we realized that it was well below the rear view mirror (In reference to the windshield). Then it went out of sight." Meanwhile, the widespread sightings of these triple-pointed enigmas continue. In November 2010, a triangular UFO "the size of a football field" allegedly was seen in California. 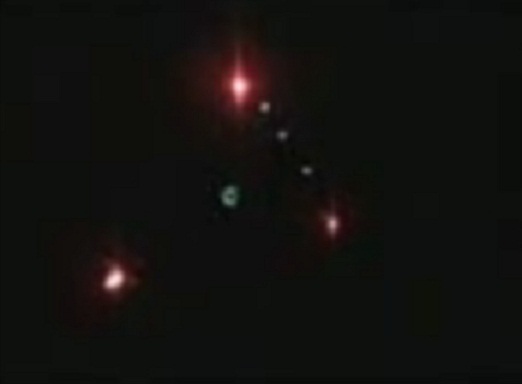 The image above, included here to simply illustrate the phenomena, was posted to discussion about the California incident but apparently is not of that UFO either. "While standing out back smoking I notice two bright lights off in the distance heading my direction. It took a few minutes to get close enough to make out what it was. After a couples more minutes I decided to run in and yell for my girlfriend to come look at it. Stupid me never told her to grab the camcorder! She was so excited and kept talking asking what it was. I asked her shush and listen. I'm hard of hearing and could not hear any sound it was making. I asked her if she could hear anything and she stated " I hear a low humming sound. " at that point we walk to our side gate to see if we could get the neighbors to come out and look. They had a house full of people and couldn't hear me yell. The triangle was right over top of us. It was so big and bright and very low. I could have threw a rock and hit it. My girlfriend tried to get her cell phone camera to work and couldn't. She ran to the other side of the house to see if she could get the other neighbor to see it but she was leaving. We watched this thing for a good 15 minutes as it floated across the sky very slow from South East to North West. It was headed right toward the love's truck stop out to interstate 75. What I would say was the front of the thing had two lights like head lights. The under side had three lights in each corner. Around those three lights were smaller lights. The smaller lights were in a circle around those three. Across what I say was the back had two flashing lights. I'm sure someone else had to see this thing because it was to big and bright. I'm positive it was bigger than the lot our house is on." The report doesn't give a specific location, but I know Love's Truckstop well - it's at the Boonesboro exit off I-75. Though I remain open-minded about the report, I have to assume this person is being somewhat hyperbolic when he says it was close enough to him to have hit it with a rock. I try to avoid angry blowhard talking-heads from both sides of the political aisle - just as I can't abide right-wing crank Bill O' Reilly, neither can I tolerate left-wing crank Keith Olbermann. Neither Republicans nor Democrats even come close to dealing with the issues that I consider important, and neither side has offered many workable solutions to world problems in my lifespan. And when it comes to civility, I have always found Olbermann to be every bit as childish, condescending, and abrasive as the jerks on the opposite side he claims to stand against, such as Rush Limbaugh, Ann Coulter, and the aforementioned O' Reilly. I wish they'd all get off the air, so-called liberals and so-called conversatives alike. 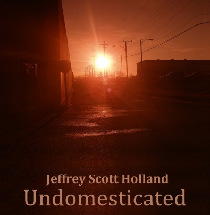 I have to say all this to preface my comments, because most people live in such a knee-jerk either-or bicameral box of their own imprisonment that if I dare to knock the big-headed K.O., people will automatically assume I must be a Republican. Though I gave up watching his show long ago, I'd have to be living under a rock in Utah to not know that Keith has been the subject of much speculation ever since he found himself in serious hot water with MSNBC execs for his political contributions. This past November, MSNBC suspended him indefinitely and without pay for violating their policy requiring employees to ask for management's approval before making any political contributions. A weird policy, and possibly a stupid one. 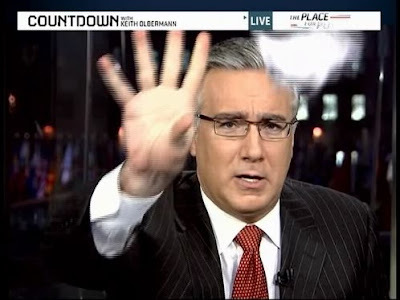 But it is the network's policy, and Olbermann did break it. He was soon reinstated, but apparently was so angered over the incident that he immediately began discussing his exit from the network the moment they took him back. Now he's resigned and has made the bizarre move of announcing his new venture: a Twitter account mocking FOX News, presumably from which he will continue his tired shtick of name-calling, insulting, and calling just about everyone "the worst person in the world". But what interests me most about all this is that Olbermann's downfall began in part because of Kentucky senate candidate Jack Conway, who was one of the three politicians Olbermann made a $2400 donation to. The other two were Paul Grijalva (who had just been a guest on Olbermann's show prior to the donation) and even more interestingly, Gabrielle Giffords, who was subsequently the victim of an assassination attempt by some Salvia-smoking conspiracy buff named Jared Lee Loughner whose mind reportedly slipped off the rails after being fired from his job at Quizno's. So was it really that important to Olbermann that he donate to Conway's campaign in Kentucky? Important enough to risk the wrath of his bosses by flouting the company policy? And he can't say he didn't know about the policy, because he and Rachel Maddow (who I still adore, although even she sometimes gets a little too snarky and "I'm so clever" for my taste) have previously taken FOX News to task over their lack of a similar policy. As Rachel Maddow and Firedoglake have pointed out, FOX News commentator Sarah Palin donated twice to the campaign of Kentucky's Rand Paul - once by herself and once through SarahPAC. Whether or not there's anything wrong with that is not that important an issue to me; if FOX News wants to be so visibly financially connected to the politicians they supposedly report impartially on, well, let them. It certainly hasn't hurt their standing amongst the masses: FOX News was deemed "most trusted news channel " by a recent poll conducted by Public Policy Polling. If you, like me, are a devotee of Star Trek minutiae, you probably already know that the Louisville Science Center is hosting Star Trek: The Exhibition until May 22, 2011. • Exploration, presenting a timeline of the Star Trek story, and including original models, costumes and props. • Health Innovation, featuring medical equipment, props and costumes used by actors on the shows. Authentic objects from Star Trek on display include Crusher’s Costume (from Star Trek: The Next Generation), Tri-Corder (used to scout unfamiliar areas and record technical data) and HypoSpray (Star Trek’s fictional version of today’s jet injector, a medical injecting syringe using a high-pressure narrow jet of injection liquid instead of a hypodermic needle to reduce the pain). • Communication, featuring a reproduction of the Transporter Room that can be explored and stood upon. 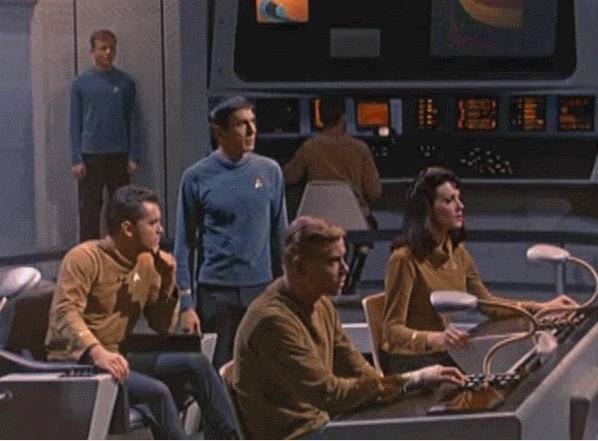 Actual objects from Star Trek include the Communicator, a hand-held communication device and later the Cornbadge; the Earpiece often used on the bridge; and costumes. • Space Travel, featuring actual set pieces from Star Trek: The Next Generation and authentic Star Trek artifacts including costumes and Federation, Vulcan and Klingon ship models.Experience Star Trek as never before – hands-on, live, up-close and in-person. 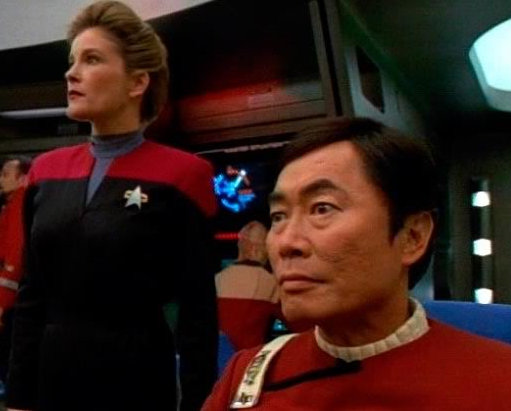 Explore the worlds, the wisdom, the science, the stories, the cultures, characters, fashions and the fantasies of the Star Trek universe. 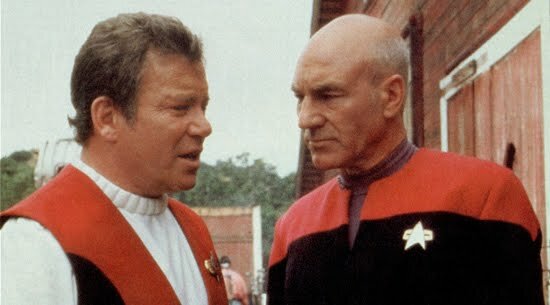 Although I enjoy all the many variants of Star Trek, I'm primarily an old-school Kirk-and-Spock kinda guy. 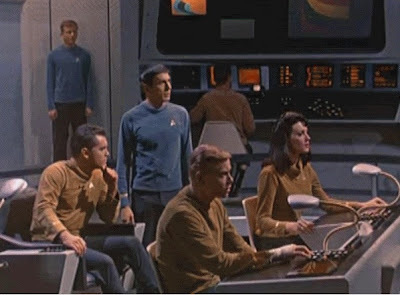 I do hope the exhibit (I haven't seen it myself yet) has plenty of artifacts from the original series (1966-1969) and the two pilot films that preceded it - The Cage (1964) and Where No Man Has Gone Before (1965). 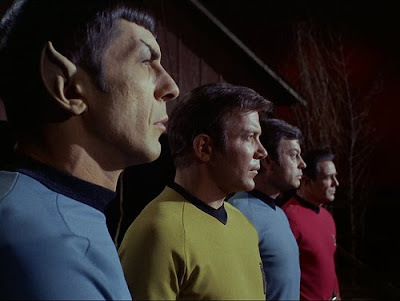 • As a youth, I attended a science fiction convention in Louisville called Omnicon in 1976, and got to meet DeForest Kelley, shake his hand and chat with him for a few moments while he autographed my program book and a copy of Star Trek: Log One by Alan Dean Foster. I was a bit taken aback that he showed up in a purple leisure suit with bell-bottomed pants, open-collared shirt and an ostentatious gold chain necklace. Then again, this was 1976. • Dr. McCoy makes a reference to the Kentucky Derby in J.J. Abrams Star Trek film. 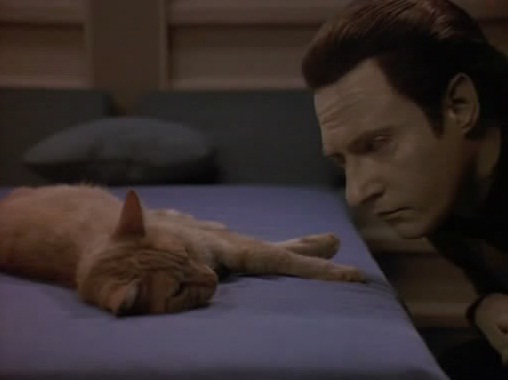 • He is quoted in The Star Trek Cookbook as sometimes using Kentucky bourbon in his baked beans recipe, and he also makes reference to this in a deleted scene from Star Trek V: The Final Frontier. • He also drinks a mint julep in the episode "This Side of Paradise", although if he was drinking actual Kentucky bourbon in it as per the proper formulation, he must have brought his own from the ship. It would be highly unlikely that Kentucky bourbon made it all the way out to the remote rural colony of Omicron Ceti III, although stranger things have happened in the Universe. Hollywood star Suzanne Somers is in Kentucky - unfortunately not to visit Keeneland or to score some beer cheese, but to testify in court. You may remember (I don't, honestly) that back in 2006, Somers and former Kentucky governor John Y. Brown, Jr. teamed up for a restaurant called Suzanne's Kitchen. The place failed after only five months, and now one of the investors wants his money back. According to WTVQ, "John Bouchillon of Louisville is suing Somers and she's in Lexington now for the trial. Bouchillon claims he was misled into investing $400,000." WKYT, however, is reporting that Somers had no written contract with anyone in this matter, and was only lending her face and name to the project on a good-faith verbal agreement. In court, Brown has testified that like so many restaurants, the project simply failed and they can't be held responsible; investing in any restaurant, after all, even one endorsed by a celebrity, is a shaky proposition in this economy. Caveat emptor. We're all huge fans of Irvine's own Harry Dean Stanton around these offices, so we are well pleased that the first annual Harry Dean Stanton Fest will be held February 2 through 4, 2011 at the Kentucky Theatre in Lexington. February 2 - the world premiere of the KET documentary Harry Dean Stanton: Crossing Mulholland by Tom Thurman, the same guy who did the great Hunter S. Thompson documentary Buy the Ticket, Take the Ride. Admission is FREE and refreshments are FREE. 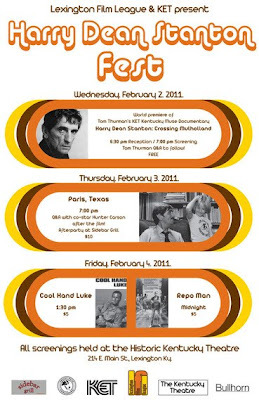 February 4 - you get two flicks at $5 each: Paul Newman's Cool Hand Luke (in which Harry sings and plays guitar!) and the Alex Cox 80s classic Repo Man (Harry plays the grizzled old repo man who hires Emilio Estevez and teaches him the trade). Lookin' good, folks. Next year let's think about Escape From New York, Cockfighter, and David Lynch's Inland Empire. Another first for the Commonwealth! 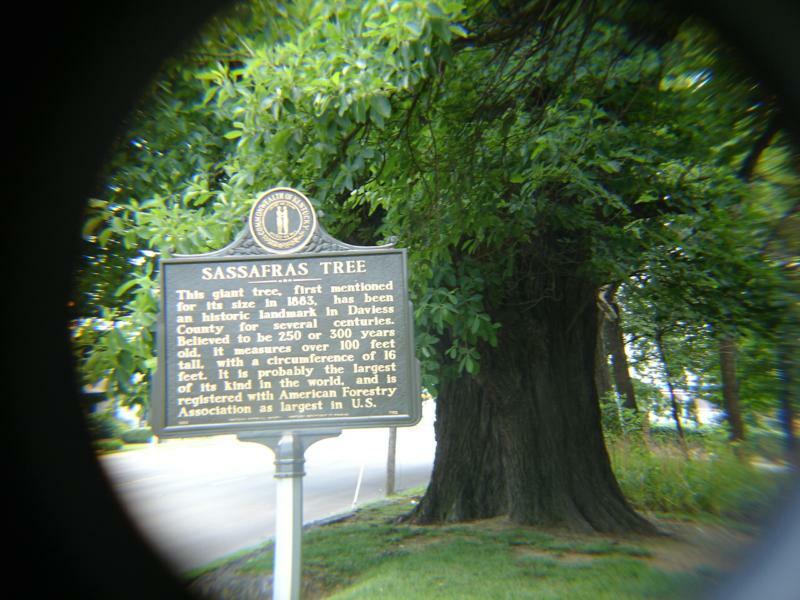 Not only do we have dibs on the world's largest skillet, world's largest picnic, and the world's largest baseball bat, but the world's largest sassafras tree can be seen on Frederica Street in Owensboro, KY. I just found out about this fascinating factoid this very morning; had I known, I would've swung by here and taken photos when I was in Owensboro a couple years ago on a BBQ-tasting jaunt. In the meantime, I found it on Google Maps (images above and below), somewhere in the general vicinity of 87.111857W 37.754455N. The champion sassafras was threatened by the widening of a highway in 1957. But when the bulldozers came, owner Grace Rash was waiting with her shotgun. She held them off at gunpoint until a call to the governor resulted in the building of a retaining wall to protect the tree. 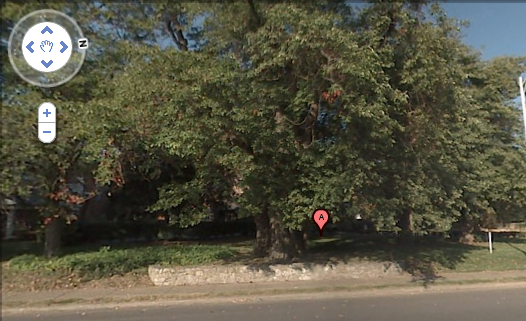 Now, you may be thinking this isn't a particularly impressive example as trees go, but just know that the sassafras generally reaches only 40 feet tall on average, and this one is over 100 feet tall. It's estimated to be around 250-300 years old. I also found a blog post by local realtor Vickie McCartney with her own photos of the tree, one of which appears below. Sassafras is probably best known for the tea made from its roots and bark, and it was also a key ingredient in real root beer. 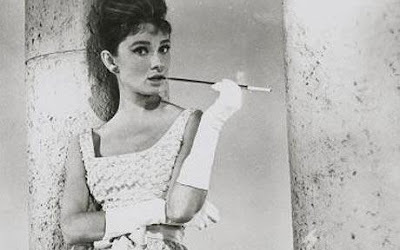 The active ingredient is Safrole, is well known for its medicinal properties but unfortunately banned by the FDA as a mild carcinogen in 1960 and listed as a "drug manufacture precursor" in 2004 by the United Nations. Why? Apparently Safrole can be used to manufacture the street-drug Ecstacy, which is said to provide light feelings of euphoria, intimacy, calmness, and reduced anxiety and depression. Now, I'm no fan of drugs of any kind - I don't even like taking Tylenol for a headache, and I'm a total lightweight when it comes to sipping our beloved Kentucky bourbon - but why is this stuff banned even for controlled usage by doctors at the same time as far more harmful psychopharmaceutical drugs are legally pushed on people by Big Pharma? I'd rather see people go back to the time-honored hillbilly tradition of drinking sassafras tea than for anyone to ingest any of the evil junk that Pfizer has to offer. 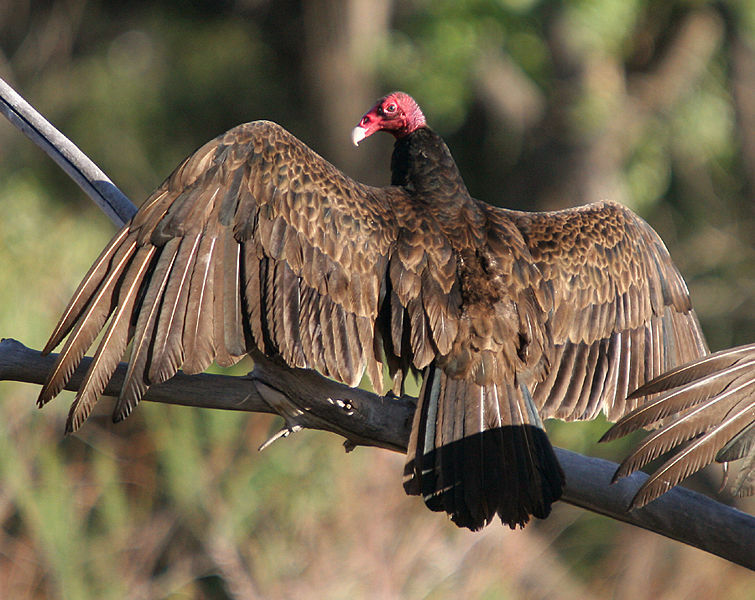 Safrole is regarded by the U.S. government to be a weak carcinogen in rats. It naturally occurs in a variety of spices such as cinnamon, nutmeg, black pepper and herbs such as basil. In that role safrole is believed, although not proven, to make a small but measurable contribution to the overall incidence of human cancer, equal to the hazards presented by orange juice (due to limonene) and tomatoes (caffeic acid). 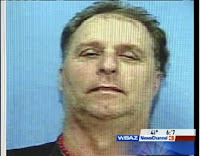 This morning I came across this story from WSAZ-TV in Arkansas, telling of an FBI fugitive from "an Arkansas cult" turning up dead in a rural home in Lawrence County. John Erwin Kolbek has been the subject of a national manhunt by the FBI since 2008, facing charges of assaulting people - including women and children - while working for Tony Alamo Ministries. 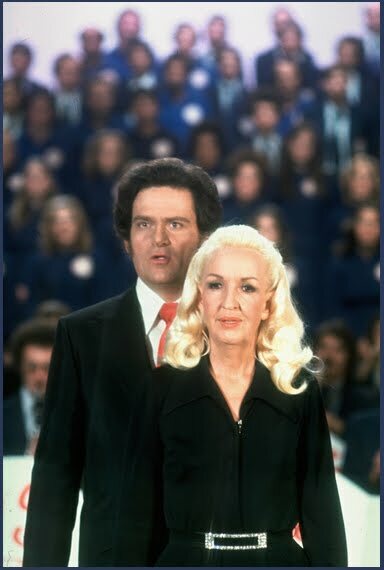 If you remember Rev. Alamo (pictured below with his wife Susan), he's currently serving 175 years in the slammer for various alleged atrocities committed at his compound near Texarkana. Alamo, known as prisoner #00305-112 around the Federal Correctional Institution in Terre Haute, Indiana, will be out of prison in 174 years. However, his ministry still carries on, more successful than ever - his message is still carried by radio stations around the world and the church has published an extensive series of rebuttals against Alamo's accusers. Kolbek died of a heart attack shortly after his estranged wife placed a 911 call trying to get medical help for him under an assumed name. According to WSAZ, "John Kolbek died a short time later, but it wasn't until his body was taken in for an autopsy that authorities realized he was wanted by the FBI." Reports state that Kolbek had reached out to his wife from an undisclosed location in the Somerset area. I'm curious about why Kolbek chose Lawrence County and Pulaski County, Kentucky as a place to hide out. Early speculation seems to be that he has not been in Kentucky very long, but no reasons are being given to support that thesis. The incident is sure to stir up renewed interest in the Alamo case, which is still a bone of bitter contention for many who believe their ministry's founder was framed. The ongoing drama surrounding the coming Ark Encounters theme park just keeps getting kookier. The Courier-Journal is continuing its ongoing skeptical investigation of the full-scale ark replica project, and the controversial Answers in Genesis isn't taking it lying down. I'd prefer if all parties would just leave our pal Ken Ham alone and let him schleprock on with his Flintstone self - as I've said before, I think people should be allowed and even encouraged to pursue their own private vision and their worldview, even if that vision is completely and utterly out of agreement with the rest of humankind. It's just too easy to make fun of Ham and his lifelong dream of making Kentucky a Christian Creationist mecca; it's like shooting fish in a barrel. Let the man work. I'm actually really looking forward to the mind-meltingly surreal theme park becoming a reality - mark my words, it will be a road-tripping destination for seekers of Kentucky weirdness, just like his Creation Museum. "They just don't let up in their anti-Christian agenda driven vendetta against this phenomenal project. We are preparing a response that will be our lead article on the www.AnswersInGenesis.org website. As we are composing the rebuttal now, we'll take my blog item from Saturday and update and adapt it as our response to a newspaper that seems to want to have the Ark be built in another state -- and apparently doesn't care about the thousands of jobs and hundreds of millions of dollars that would end up elsewhere. Not very pro-Kentucky, is it, for a Kentucky paper?" "This is why we quit reading newspapers"
"You say this was a Louisville paper? Well there you go, they really aren't Kentuckians, they bleed red and not blue"
"This reporting comes from the father of lies...the deceiver...it is a project that brings God glory and is bound to be a target. Gear up...put on the full armor of God. The shield of faith is a very beautiful picture "painted" by the Apostle Paul. In the historical context of this "picture" the Roman shield was covered with leather then soaked in water...Paul says to take up the shield of faith to put out the flaming arrows of the enemy..."
"We believe, based on previous Ark-related comments made in the newspaper, that the Courier-Journal’s opposition to the Ark Encounter has everything to do with the religious content of the project and the editors’ dislike for something that wants to show that the Bible is true from the very first verse. 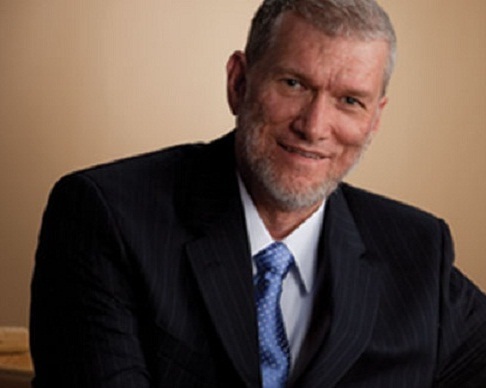 Just as God blessed the Creation Museum amidst tremendous secularist opposition it received several years ago, we are confident He will also bless AiG’s latest effort to build yet another complex that will honor and defend His infallible Word." Want to lend a hand to help make our state a weirder place to live in, and help Ham build his ark? Click here! You can sponsor a piece of the ark - $100 for a peg, $1000 for a plank, and $5000 for a beam! You can also donate on the phone by calling toll-free 1-855-CTHEARK (1-855-284-3275). According to the USGS, an earthquake of 2.4 richter-scale magnitude has struck at a point along the Kentucky-Tennessee border. The quake happened this morning about 4am, with a reported depth of 4.7 miles. The closest town to the quake's epicenter - about five miles from it - is Albany in Clinton County. Byrdstown, TN is about three miles away, and Knoxville about eighty. 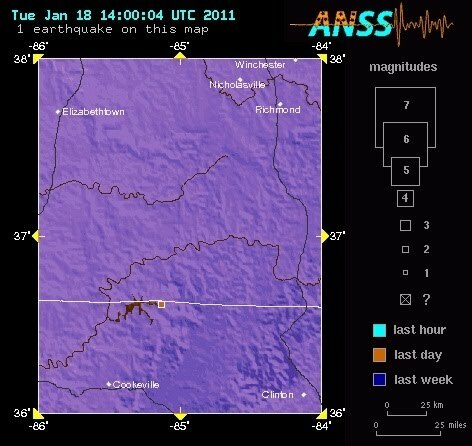 Though they aren't always publicized greatly, earthquakes in Kentucky are relatively common, and this latest one isn't all that far from where one occurred in May 2009, along the border at Jellico, TN. I'm including this here because I see this candy everywhere in Kentucky stores - no doubt because its distributor is based in Indiana. 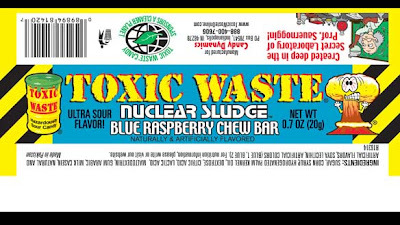 Talk about truth in advertising: the prophetically-named Toxic Waste Nuclear Sludge Chew Bars have been recalled after elevated levels of lead were found in the product. 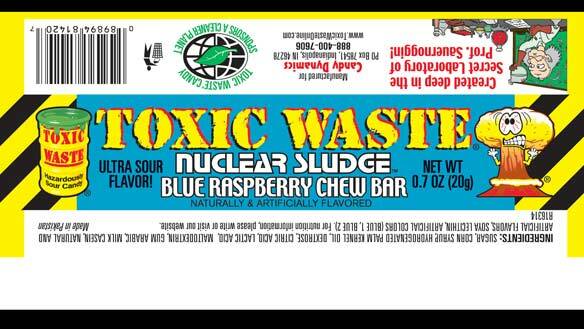 It was discovered that Toxic Waste candy contains 0.24 ppm of lead, which is far above the 0.01 ppm allowed by the FDA. I find it troubling that I can't find any mention of the recall on their website, which still continues their stupid postmodern irony shtick in its ad copy, with blurbs like "We dare you to take the Toxic Challege! [sic] Try the only sour candy officially proclaimed HAZARDOUS!" Their Twitter is not mentioning the recall either. Hey guys, when there's a candy recall, aren't you supposed to make sure as many of your customers as possible actually hear about it so they can dispose of already-purchased product? The recall of the candy (which was not actually produced by the Indiana-based Candy Dynamics company but outsourced to Pakistan - well, at least it wasn't China this time) covers all lots and all flavors produced since 2007, according to CBC News. How awesome is this? 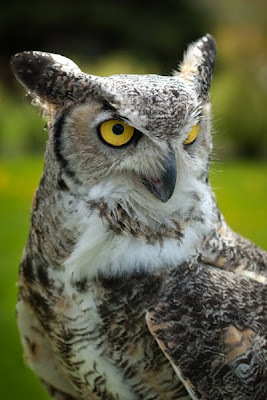 Raptor Rehabilitation of Kentucky, Inc. is an all-volunteer organization dedicated to the rehabilitation of sick, injured and orphaned birds of prey. Whether or not you choose to join/donate, do keep in mind that if you ever see an injured hawk, owl, falcon, vulture, kestral, eagle, etc. you should immediately call RROKI's rescue hotline at 502.491.1939! I love graffiti art, but I don't love it when it ruins people's private property, such as the toy-tag throwdowns of sociopathic goofballs like "Kamel" and crew. And unfortunately, it usually does. However, when graffiti is applied to semi-abandoned structures that are already ugly eyesores, hey, why not? And I'm pretty certain that this corroded water tower off Louisville's Logan Street is as abandoned as the decrepit factory beneath it. This "Vodka" guy, whoever he may be, went to considerable trouble just to paint his nickname on this tower. You can gauge the relative size of a human to everything else in the picture by observing the ladder that goes up, and the railing that circles the tower - clearly, this nut had to stand on something in order to finish such a large mural. Can you imagine standing on something on a narrow walkway that's hundreds of feet up in the air? Imagine what someone with such determinism could accomplish if he had some goals in life other than to spray-paint his name all over stuff. It was almost exactly one year ago when I wrote about KySat-1, a picosatellite that marks a major entry for Kentucky into the Aerospace industry. Although I thought it was supposed to have launched back in November, apparently it has not yet - the launch is now slated for February. I just stumbled upon this new YouTube video from the folks at Kentucky Space giving us the lowdown on what's going on and going up. Pretty exciting stuff. You can also follow Kentucky Space on Twitter. 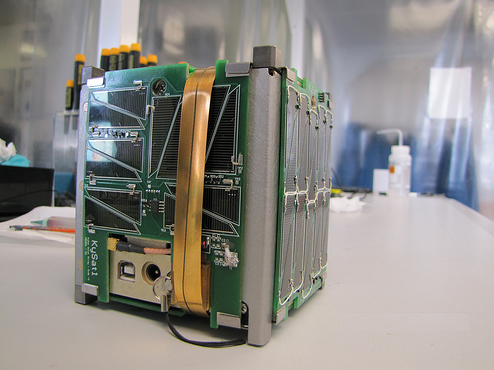 KySat-1 will be equipped with a camera and a 2.4-GHz industrial/scientific/medical band radio, which will be used to test high-bandwidth communications in the license-free portion of the S-band. Also spotted on YouTube: this video of the sunrise over Morehead State University's amazing 21 meter radio telescope. Ever heard the common urban legend about "the man with the hook"? A young couple is listening to the car radio making out in a secluded Lover's Lane spot when a hook-handed serial killer attacks and kills them. 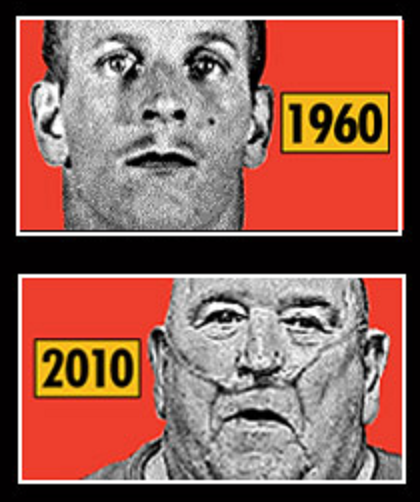 Although Edward W. Edwards doesn't have a hook for a hand, he was an early suspect in the double murder of a pair of young Oregon lovers under similar circumstances in 1960. 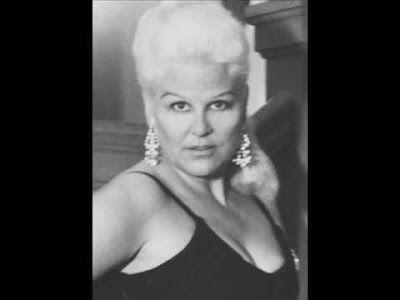 Larry Peyton's body was found with multiple stab wounds in a park in November 1960 and his girlfriend Beverly Ann Warren turned up 43 days later, hidden in another location and also stabbed to death. Edwards, you'll recall, was arrested in his Louisville trailer park home back in 2009 and arrested for the 1980 murder of another pair of lovers, Tim Hack and Kelly Drew in Wisconsin. 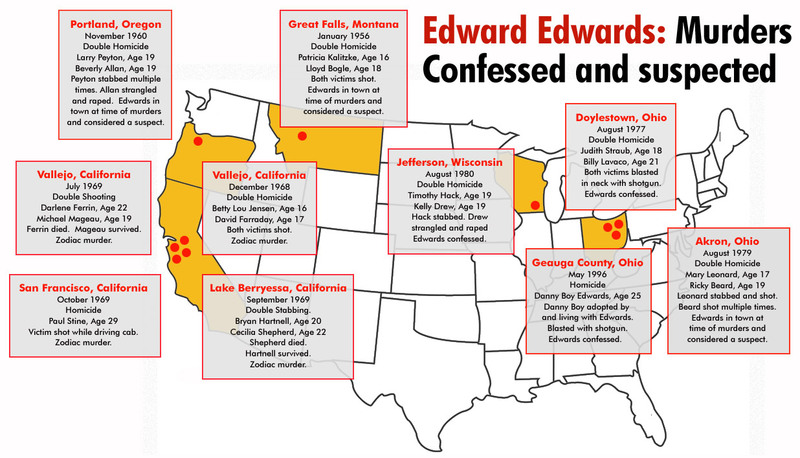 It was soon discovered that Edwards was a serial killer with a predilection for young couples, and before long, cold case files started coming out of the woodwork with previously-unnoticed connections to Edwards. Edwards may or may not have been the inspiration for the "Man With the Hook" legend, but some are starting to suggest that he may even be The Zodiac Killer, or at least responsible for some of the murders attributed to him. 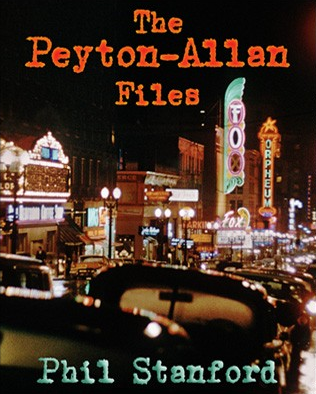 I've been toying with writing a book about Edwards, but I recently read The Peyton-Allan Files, by investigator Phil Stanford, which totally blew me out of the water and makes me rethink the whole thing. Stanford, a native of Portland, has done meticulous research in the deaths of Peyton and Allan, and has gone straight to the horse's mouth and contacted Edwards in prison. Edwards was in Portland when the Peyton-Allan murders occurred, and was even arrested and brought in for questioning because of a suspicious gunshot wound he had. Edwards escaped from jail before he could be interrogated, an experience he details in his bizarre autobiography Metamorphosis of a Criminal. 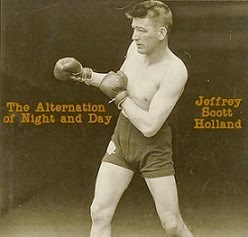 I highly recommend Stanford's book, which you can obtain here or here or here. Among the most interesting of Stanford's revelations is that Edwards at one point was claiming to be a CIA agent on a secret mission for the U.S. Government's intelligence bureau. 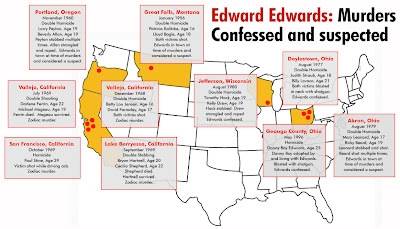 Although it's highly likely this was just another scam from a lifelong con man (he also posed as a psychiatrist while on the lam), I'm intrigued by the idea that Edwards may have had possible CIA connections. It is true that many ordinary people over the years have been used by the CIA for one-off jobs, but not actually employed as bonafide agents. Sometimes it happens that these people - waiters, cab drivers, street hustlers - develop an exaggerated sense of importance and go around declaring themselves to be "working for the CIA", which of course the agency must then deny. 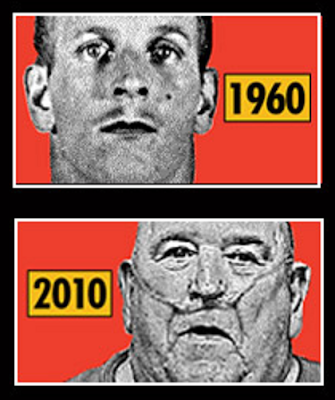 Edwards is now 77 and in rapidly declining health. Who knows how many more of his crimes remain unknown and unsolved? While he's still breathing, we need more researchers like Stanford to dig for the truth about his complicated and twisted life. I'm actually not a fan of the Hot Brown sandwich myself; I don't care for sandwiches covered in gooey runny sauces, and I'm such a tomato snob that the tomatoes that most restaurants use simply aren't good enough for me. 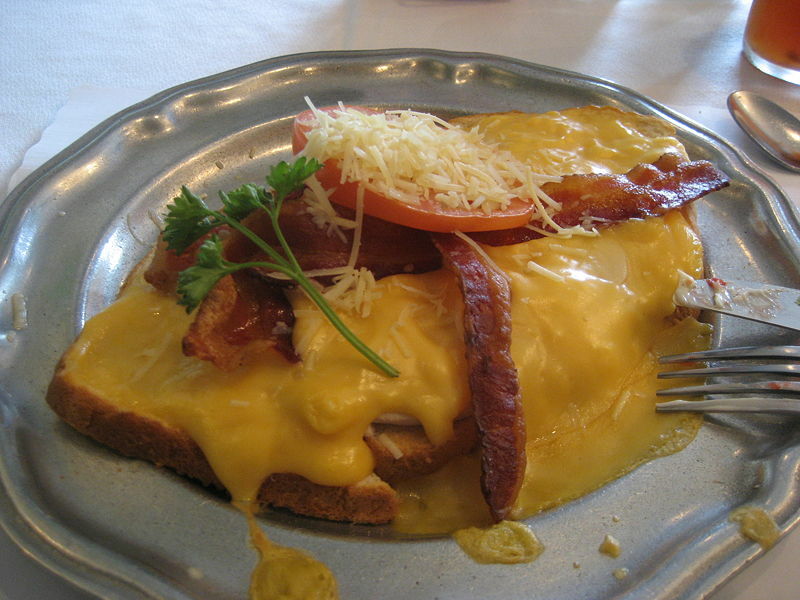 Having said that, Wikipedia's photo of the Hot Brown (pictured above) shows an example from the Kurtz Restaurant in Bardstown, and I have to say it looks pretty darned good. I'd probably still pick the tomaters off, but I like how it's coated in a thick melted American cheese instead of the traditional alfredo-ish Mornay sauce. Next time I'm in Bardstown, I may stop in and check it out. But as a cultural relic with mythic resonance, I fully appreciate the Hot Brown as part of the Brown Hotel experience - the sandwich was created there by Fred K. Schmidt in 1926. The Brown Hotel is one of Louisville' greatest treasures, and is, as you might expect, very haunted. I'm working on a project to assess the supernatural activity at the Brown Hotel, but we'll talk more about that in the near future. The anti-smoking forces are looming over Kentucky's civil rights like the Death Star over Alderaan once again. The Courier-Journal is reporting that a bill proposing a statewide tobacco ban is now before the Kentucky legislature. I oppose any attempts to curtail tobacco usage, even though I don't even smoke, myself (aside from an occasional fine cigar after a good meal or a puff of my pipe whilst striking a Sherlock Holmes-esque pose at my fireplace mantle), mainly because I tend to oppose any attempts to curtail people doing whatever they want to do within the law. I repeat, within the law. And there's the rub, you see: tobacco is legal. You'd think we were talking about Heroin or something, the way the rabid anti-smoking militants carry on. And speaking of drugs, I find it odd that powerful and influential people are on a tirade against tobacco instead of doing something about Oxycontin and Crack and Meth, all of which are major problems for Kentucky's well-being. If these do-gooders would use a tenth of the resources and funding and effort they spend railing against tobacco to instead help put a stop to the Oxycontin pipeline, Kentucky would be a much safer place. But for some reason, they prefer to make second-hand smoke their pet bugaboo. Why is that, I ask aloud? Qui bono? I believe diet sodas like Diet Coke to be far more harmful than all the tobacco in the Commonwealth, containing as they do dangerous artificial sweeteners like Nutrasweet, Splenda, and Acesulfame-K, as well the equally dangerous High Fructose Corn Syrup. Hell, everything we eat nowadays has corn in it, and not just any corn but genetically modified Monsanto corn. As Ivan Stang once opined, "Cocaine's pretty damn unhealthy, alright, but at least it isn't half our kids' diet." Nevertheless, you don't see me mounting some goofy campaign to ban these substances, because I do believe it's your right to eat and drink cancerous crap if that's what you really want. Or to play golf amongst nerve gas, even. Similarly, partially hydrogenated oils are one of the deadliest substances in our food supply, and yet they still are consumed on a daily basis by you and I. Whining about second-hand smoke when you eat and drink poison - literal poison every day of your life - is a little like living inside a septic tank and consuming raw sewage, yet complaining that someone else passed gas. How about the pollution in Kentucky's air, water and soil caused by Rubbertown, DuPont, and places like Valley of the Drums and Maxey Flats? And these sites are only famous because people found out about them, as opposed to the sites that are still buried out there that you don't know about. Second-hand smoke, compared to what unfathomable chemicals that factories are semi-legally allowed to belch into our air from their smokestacks, is not on the top of my list of things to stress about. How can you decisively point the finger of blame for any given person's lung cancer when we're swimmming in a sea of mostly-invisible car exhaust at all times, and blobs of ozone float around us constantly? And even though people make jokes like "I believe such-and-such lived too close to the power lines as a kid", it's no joke that people are living too close to the electromagnetic fields of power lines and power stations, and no one is doing anything about it. And I bet most of these "OMG, your second hand smoke is killing me" people use cellphones. Guess what? You're dead already. Game over. Aluminum is a very toxic metal, yet we cook our food in pans made of it, then wrap the leftovers in foil made of it. We use aluminum-based deodorants, day in and day out. In 1993, the World Health Organization announced their findings that autopsies of Alzheimer's disease victims showed abnormally high concentrations of aluminum in their brains, yet since then absolutely nothing has been done to reduce the public's aluminum intake. A recent exhaustive analysis of 173 brands of bottled water was recently conducted, and only three of them got an "A". One brand that I often drink was given an "F". As if arsenic and cryptosporidium in tap water aren't bad enough, did you know that the world's water supply is increasingly contaminated by antidepressants, antibiotics, and other prescription drugs that most municipal water treatment plants cannot remove with their conventional filtration systems? Sewage treatment plants can't eliminate it either, nor can they eliminate MRSA or Clostridium difficile, a truly terrifying superbug which Kentucky is sixth in the nation for reported cases. Do some Google-cizing around the web and you'll find that practically everything under the sun is being touted as "bad for you" by some nutritional expert or other - peanuts, fish, corn, wheat, protein, caffeine, alcohol, dairy products, red meat, even soy. And we're surrounded by toxic BPA-laden plastics that leach estrogen-mimicking chemicals and more. And don't even get me started on Monosodium Glutamate. The sheer information overload of studying all the data from all these experts will either make you move to a desert island or throw your hands up and say, "The hell with it, it's hopeless trying to be healthy. I'm going to the store to buy a pack of hot dogs and a carton of Luckies." Did you know that toxic coal ash sludge is now being used as an ingredient in the asphalt on Kentucky roads? It's kind of a complicated and unwieldy subject, and frankly, it's pretty boring - even to me - to read about, and it lacks the clear-cut charm of other causes. You know, causes that people can set up donation-raking organizations for, to whip citizens into a hysterical frenzy over to further their own ambitions. But that doesn't make the coal ash any less toxic a substance being introduced into Kentucky's environment. How about getting tough on crime before we tackle smoking? There are places in Louisville that are essentially places of total lawlessness and danger, even as the LMPD prefers to spend its time combating perfectly legal strip clubs, and citizens like me who get pulled over and fined for nothing more than forgetting to buckle my seat belt. And let's not forget the LMPD's problematic history of framing innocent people for crimes they didn't commit. Maybe the new Louisville mayoral administration should clean house and start the LMPD all over again, from the bottom up and the top down. But second-hand smoke? Come on. You're arguing about burnt toast in a burning house. Finally - and I don't think you need me to remind you of this - I hear tell that it's a statistical certainty that we're all going to die in the end anyway. One of my favorite acts on those 1950s full-color "Stars of the Grand Ole Opry" films that have been making their way around America via truckstop tapes for years now: Salty and Mattie, who stuck out like a sore thumb with their magnificent harmonica-driven rock and roll blues antics like "Harmonica Boogie" and the baffling Popeye-goes-Halloween number "The Ghost Song". 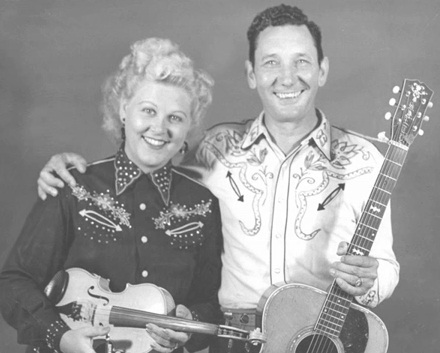 For years I wondered who the heck these two oddballs were and how they got to share a stage with superstars like Faron Young, Ernest Tubb, June Carter, Webb Pierce, Carl Smith and Jim Reeves. The how still isn't clear, but I now know the who: Floyd "Salty" Holmes was from Glasgow, KY and was a founding member of the Kentucky Ramblers, who subsequently changed their name to the Prairie Ramblers and became best known as Patsy Montana's backing band. He also appeared in some early Western films, thanks to his friend Gene Autry pulling some strings for him. Salty drifted into obscurity after he and Mattie were divorced in 1956, and he passed away on January 1, 1970. Salty's wife Mattie (sometimes called Mattie Holmes, other times Mattie O'Neil) is actually Opal Jean Amburgey from Neon, KY.
Amburgey got her start recording and performing on Lexington's WKLP-AM with The Sunshine Sisters and then went on to brief fame as Jean Chapel, recording many rockers for Sun and RCA such as "I Won't Be Rockin' Tonight", "Don't Let Go", and "Welcome to the Club". 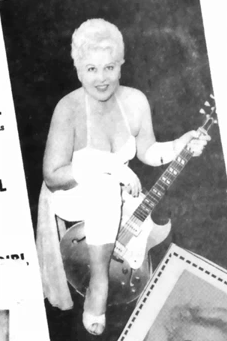 RCA tried to bill her as "the female Elvis" but by the early 1960s the buxom blonde rockabilly belter was largely forgotten. She went on to an even more successful songwriting career, however, writing songs for country stars such as Marty Robbins and Tammy Wynette. Her daughter Lana is also a singer-songwriter, having placed songs with Nancy Sinatra, Eddy Arnold, and Lester Flatt. Jean/Mattie/Opal died in 1995. I've been unable to find out where she and Salty are each buried. Does anyone know? Bonus Saltiness: "Stuck With Love", "John Henry", "Blue Eyes Cryin' in the Rain", and "Cannonball Special" with Joe Maphis. And then there's this suave dreamboat who's on WLKY's crime report for assault, stalking, and more. Police say he assaulted a woman because he thought she had a phone number written on her arms. 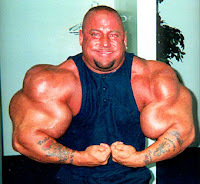 27-year-old Tommy Gunn (that's his name, I'm not making this up) forcibly shaved the woman's arms and poured Kool-aid over them, apparently because he thought this is the traditional, time-tested "Hints from Heloise" way to make a secret invisible phone number written on a woman's arm magically appear. 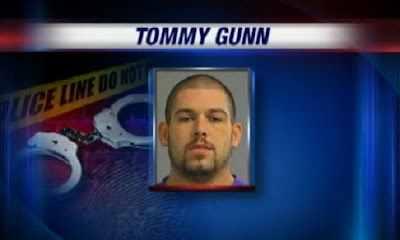 He then, according to WLKY, "struck her and dunked her head in water." Keep in mind that we haven't heard Mr. Gunn's side of the story, of course, and I'm sure he has a perfectly good explanation for his psycho behavior. Like... er.... um.... well, I can't imagine what that might be, but I'm sure it would be a fascinating insight into the human condition. Whizzing down 146 in Oldham County this morning, a sign caught my eye that I'd never noticed before. Its words still echoed in my head as I drove on - "Cowboy Church". Did it really say that? Cowboy Church? Awesome. I turned around immediately and went back. The sign is at the top of a gravel road that branches out in several different directions, including a local American Legion hall and various buildings related to the Oldham County Fairgrounds. I didn't see any building that had a "Cowboy Church" sign on it, but I'm hoping it's this barn with horse murals painted on it. "Cowboy churches are local Christian churches within the cowboy culture that are distinctively Western heritage in character. A typical cowboy church may meet in a rural setting in a barn, metal building, arena, sale barn, or old western building, have its own rodeo arena, and a country gospel band. Baptisms are generally done in a cattle tank. The sermons are usually short and simple. Some cowboy churches have covered arenas where rodeo events such as bull riding, team roping, ranch sorting, team penning and equestrian events are held on weeknights." As a fan of anything rustic and retro in American culture, and especially anything that glorifies a frontier spirit in today's homogenous nutrasweet styrofoam culture, I wholeheartedly approve and endorse the Cowboy Church concept. Let me go put on my big purple Hawkshaw Hawkins outfit and I'll see you in church this Sunday. Tom T. Hall has become one of country music's most prominent elder statesmen, a fact that makes me feel rather smokehouse-aged myself since I vividly remember him from my childhood as being that guy who did gently goofy post-Roger Miller songs like "I Love", "Little Bitty", "How Do You Talk To A Little Baby Goat? ", "I Like Beer" and "Sneaky Snake". If you ask me, the fact that Mr. Hall is another good Kentucky boy (from Olive Hill) should be made more of a big deal by tourist-attraction types whose job it is to make big deals of such things. But no one asked me. So I'm ringing the supper bell to sing Tom's praises myself today. Tom's first band, the Kentucky Travelers, released a few records on the Starday label, and according to Wikipedia, they "performed before movies for a traveling theater", a concept which piques my interest greatly. Did this "traveling theatre" tour nationally? Or just Kentucky? And by the late 1960s/early 1970s, he was a recording star in his own right, with songs like "I Washed My Face in the Morning Dew" (not to be confused with that other "Morning Dew" song) and "The Year That Clayton Delaney Died". Clayton Delaney, by the way, was a real person from easten Kentucky; a ramblin' rounder kinda guy who the young Tom idolized, just like the song says. One of his songs, "A Week In A Country Jail", was based on a true story: Tom was pulled over by a cop in Paintsville, KY for speeding, and then arrested for expired tags on his car and for not having his drivers license on him. What was supposed to have been an overnight stay in the local jail turned into a week when the county's only Judge left town to attend a funeral. This Mayberry-gone-wrong story became a hit in 1969. 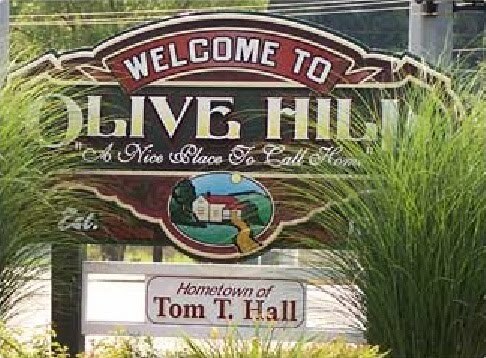 Ironically, Paintsville is now the home of the U.S. 23 Country Music Highway Museum, which pays tribute to Tom's success. 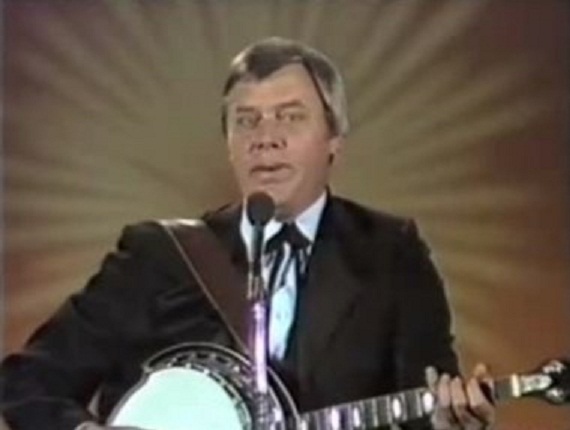 Tom T. Hall is 74 now, but is still going strong with public appearances and live performances. You can write him at: Tom T. Hall, P.O. 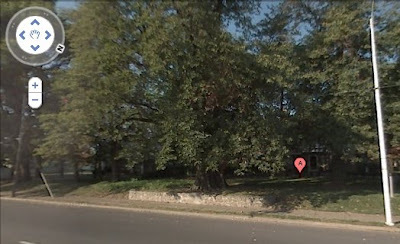 Box 1246, Franklin, TN, 37065. There's a million of 'em, and you're gonna love 'em.